Back in 2011, we wrote about the then-emerging technology of automobile event data recorders (“EDRs”), commonly known as black boxes. Since then, EDRs have become both more common and more standardized, changing the practice of accident reconstruction dramatically. A proposed federal rule requiring EDRs in all cars never went into effect, but virtually all cars now have them anyway (Tesla was a late hold out until recently). 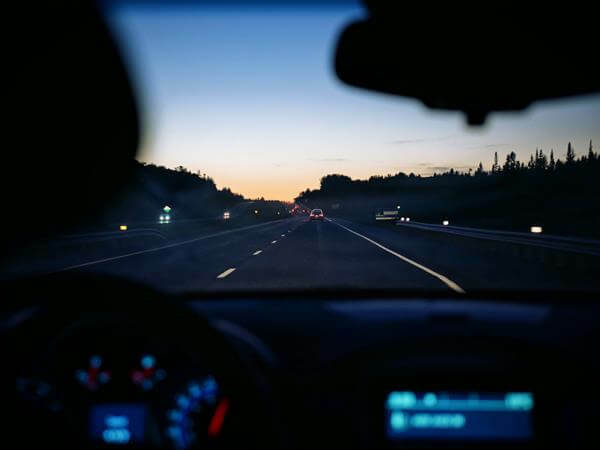 Beginning with model year 2013 vehicles, federal regulations mandate that if a vehicle has an EDR, it must record certain specific types of pre-crash information, including speed, brake use and seat belt status among others. Also, the data must be downloadable using commercially available tools (which all competent accident reconstructionists now possess). 49 C.F.R. §§ 563.7, 563.12. This is a major shift from older EDRs, which differ substantially among different auto manufacturers, sometimes require the manufacturer’s assistance to download and at times provide little or no useful data. An EDR is constantly recording information as the car is moving and then recording over itself. What causes the EDR to actually save data is the occurrence of an “event,” typically a crash that is severe enough to cause deployment of an air bag. With regard to pre-crash speed and braking, the data must cover the five seconds before the crash. 49 C.F.R. §§ 563.7, 563.9. The traditional approach to accident reconstruction involves measuring the amount of crush damage experienced by the vehicle(s) and the length of skid marks, examining other physical evidence and then, by consulting data such as published crash test results, coming up with an estimate of vehicle speed and other details involved in the crash. Given how much of a “fudge factor” exists in interpreting that sort of evidence, plaintiffs’ and defendants’ experts often come up with wildly different numbers. New EDRs eliminate much of that debate. We recently settled a wrongful death case, involving two late model vehicles, in which the EDR data played a huge role. The CHP report described how the decedent’s car had been rear-ended by an SUV on the freeway at high speed. The SUV driver told the CHP that the decedent’s car had been inexplicably stopped in the middle of the freeway with its lights off. The EDR data from the decedent’s car, downloaded months later, revealed for the first time that the car had actually been rear-ended about four minutes before the fatal crash (by a hit and run driver). That first crash was at a significantly slower speed, but nevertheless disabled the engine of the decedent’s car. The EDR data from the defendant’s SUV, in turn, revealed that it had been traveling at 75 mph (despite heavy traffic conditions) just before the crash and that the driver did not brake until less than a second before impact. Traditional accident reconstruction techniques were still used to evaluate whether the lights on the decedent’s car were on at the time of the fatal crash. But the unassailable EDR data alone provided the basis for us to argue that the defendant was traveling way too fast for the conditions and was probably inattentive. The usual debate between accident reconstructionists as to speed, braking, etc. simply didn’t occur, and we achieved a favorable settlement. One final note. In the context of an auto accident lawsuit, data from an EDR can be downloaded only if the registered owner of the vehicle consents or a court orders the download. See Veh. Code §9951(c). Typically, both sides want to obtain the EDR information, but it is possible that a vehicle owner could resist having his EDR downloaded. We would expect, however, that most judges would order a download in those circumstances, given how relevant the EDR data is in determining fault.